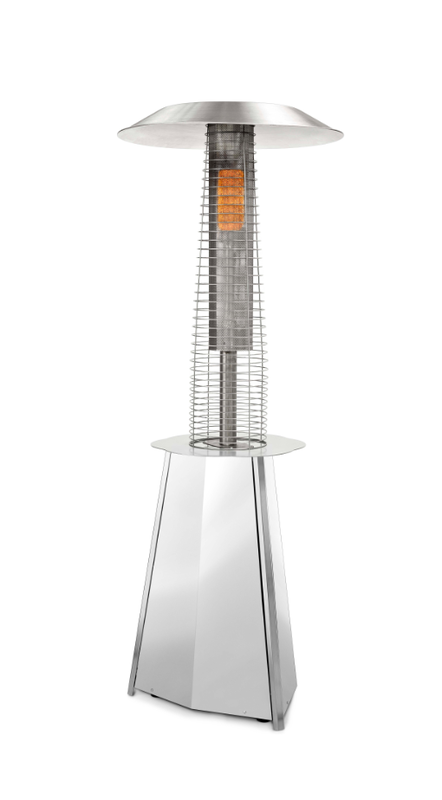 The Soleil gas patio heater features a reflective hood for maximum heat output and efficiency, perfect for outdoor heating use on a patio or terrace. This high quality gas patio heater requires a 15Kg gas bottle and has 3 heat setting for easy adjustment of the flame, the maximum heat is 10Kw. The Soliel gas patio heater has a special safety grid fitted over the tall fibre burner to ensure the grid cannot be touched. Available in a range of colours and manufactured to a high quality with anti-corrosion finishes that will look good now and in years to come. Our range of gas patio heaters can be seen at hotels, bars and restaurants around the UK and across Europe. 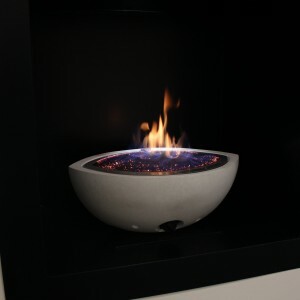 The Soliel gas patio heater features a reflective hood for maximum heat output and efficiency, perfect for outdoor heating use on a patio or terrace. This high quality gas patio heater requires a 15Kg gas bottle and has 3 heat setting for easy adjustment of the flame, the maximum heat is 10Kw. 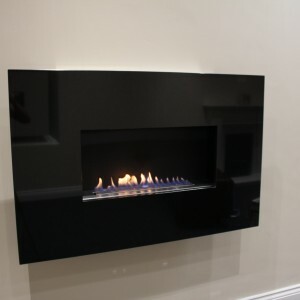 The Soliel gas patio heater has a special safety grid fitted over the tall fibre burner to ensure the grid cannot be touched. MAXIMUM HEAT OUTPUT – The SOLEIL gas patio heater has been designed to supply the maximum heat possible to the surrounding area. Manufactured in Italy to a very high standard the patio heater includes a reflective hood to capture and dissipate the heat. 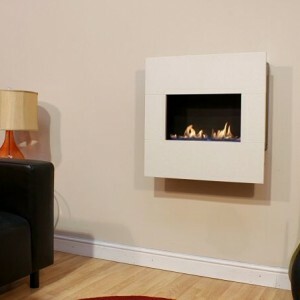 Designed and manufactured in Italy and sold exclusively in the UK via CVO Fire. 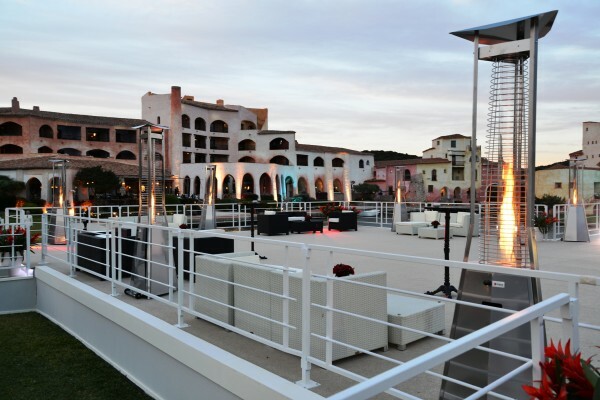 These gas patio heaters can be seen at high end hotels, bars and restaurants around Europe. CHOOSE FROM BLACK, BRUSHED OR WHITE.